Another World: 15th Anniversary Edition and Seal Team 12 were added to the OnLive PlayPack. The OnLive PlayPack is now at 238 games and counting. Another World: 15th Anniversary Edition is a cinematic platformer game published by Digital Lounge and developed by Eric Chahi. As the title says, this is the 15th anniversary re-release of Another World (Out Of This World), a masterpiece and timeless classic developed by Eric Chahi. It's funny that OnLive released Another World and we are still waiting for another more recent game from Eric Chahi, namely From Dust, the game that OnLive advertised as a flagship launch title for OnLive mobile touch controls. More than two years of development were needed to achieve Another World, one of the first games to feature a polygonal graphics system. The game uses real-time rotoscoped animations with the polygons, using video recordings of Eric Chahi himself performing various actions. Another World was innovative in its use of cinematic effects in the graphics, sound and cut scenes, with characters communicating through their facial features, gestures, and actions only. This cinematic style granted Another World cult status amongst critics and fans. 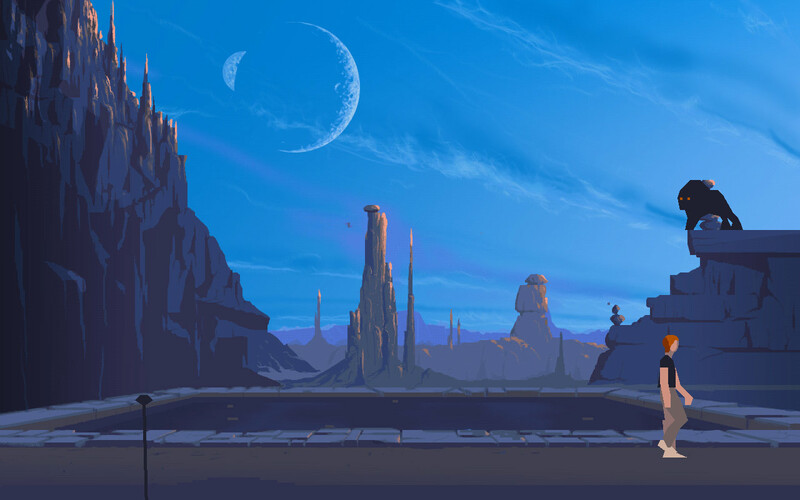 Initially released in 1991, Another World has enjoyed worldwide success on different platforms and has become a reference for a generation of gamers. You can play the free demo of Another World: 15th Anniversary Edition for the US powered by OnLive. You can play the free demo of Another World: 15th Anniversary Edition for the UK powered by OnLive. Seal Team 12 is an indie top down twin-stick shooter published and developed by Social Loner Studios. As a member of SEAL Team 12, you must battle through massive enemy waves and break the enemies spine with the force of truth, justice and explosions! This is an action packed Top Down Shooter where you battle Infantry, Tanks, Dogs, Ninjas, and actual Seals! Defeat the forces of evil with heavy weapons such as the trusty rocket launcher, the faithful Uzi, machine guns, and other weapons of destruction. You can play the free demo of Seal Team 12 for the US powered by OnLive. You can play the free demo of Seal Team 12 for the UK powered by OnLive.